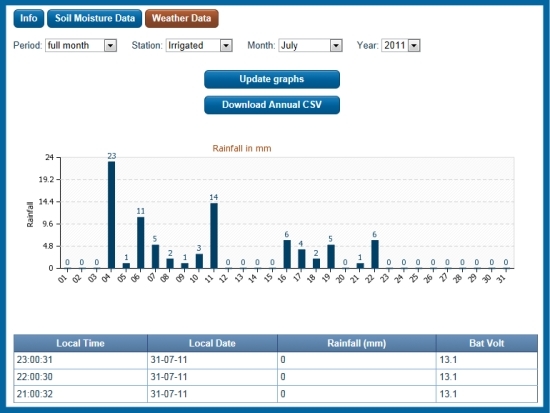 Need to automatically monitor in field rainfall/actual irrigation? Have outlying fields where knowing if there has been recent rainfall would allow you to direct your staff and machinery efficiently. High quality tipping bucket rain gauges with automated remote data collection. Available as a combined soil moisture monitoring system, as an upgrade to an existing unit or be set up as a standalone rain gauge. The data is easily and quickly accessed from your computer or smart phone and can be downloaded for your records.